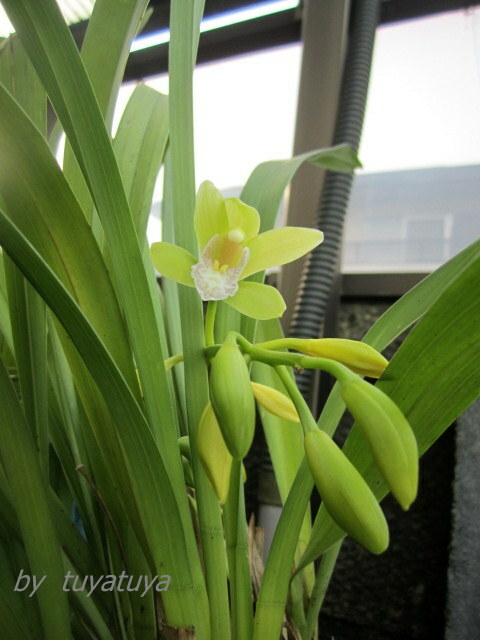 シンビジュウムが咲きました　A cymbidium has come out ! 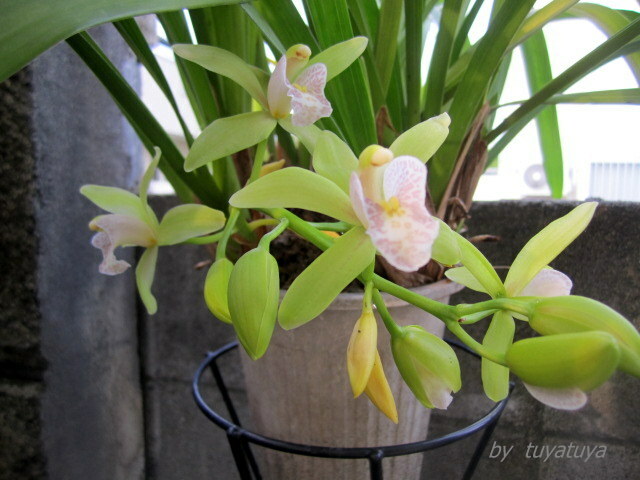 A cymbidium has come out by itself after 5years. Since my friend Mrs.K gave me this one ,the flower had not bloomed. I've been looking at only its leaves for a long time. I didn't care for it and kept it in its pot at outside. 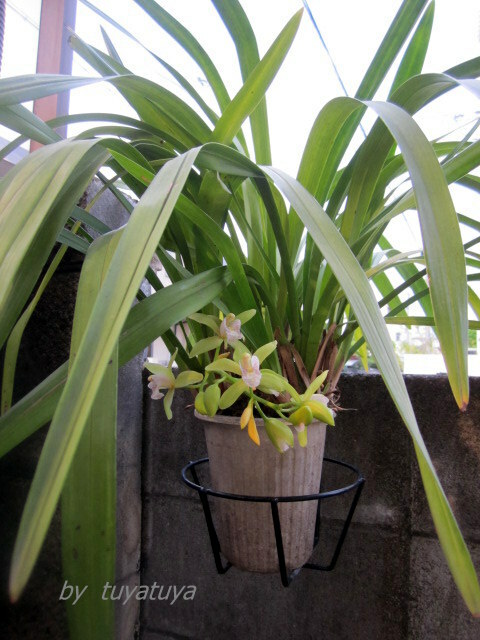 I was surprised and glad to find the buds, and at last it has bloomed. How fantastic it is !